For an experience that feels like home try one of our B and Bs. Cozy and inviting your host will welcome you into their home for a great night sleep and the breakfasts are truly memorable. Many of our B&Bs are located in historic buildings, each with a unique history all their own. Your host will proudly explain the history of their building and also answer your questions about the Amana Colonies. A little insider information is always helpful when you are going out to explore. A benefit of staying in an Amana Colonies’ B&B is the added touch the owner provides. You begin your stay as a guest in their home and most likely will end your stay as a good friend hoping to return again soon. 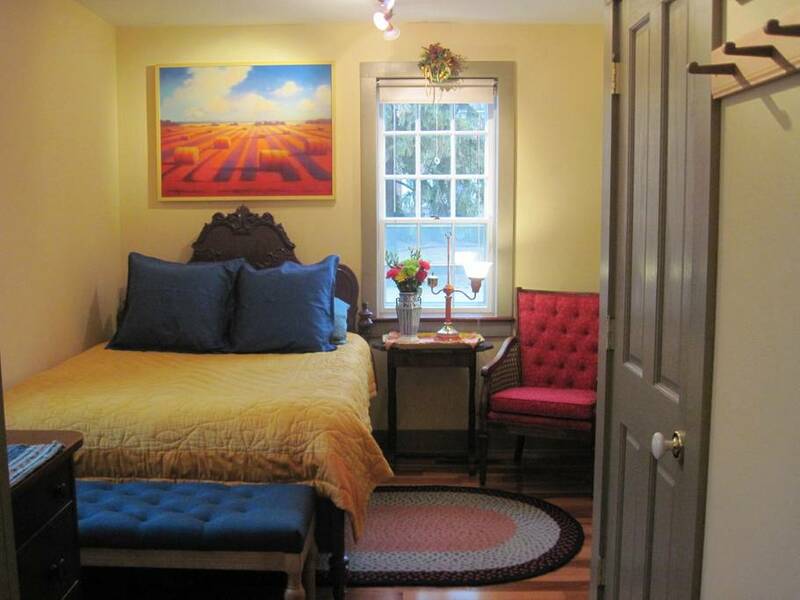 Village Guest Suite is located in Main Amana on the “back street” where we offer a quiet setting for a relaxing and quiet evening’s stay in a historic 1856 communal residence and zimmershop. Yet, you are within easy walking distance of the Amana Heritage Museum, unique shops and famous German family-style restaurants. The main floor features a two room suite with an elegant formal living room with fireplace and queen sleeper sofa and charming bedroom with queen sleigh bed and bath with a Jacuzzi tub and shower. The upstairs features the three room suite which has a living room, full kitchen and bathroom, spacious bedroom with queen bed and fireplace and a small bedroom with a twin bed, giving you sleeping space for 5 people. Also featured upstairs is the “mini suite” which adjoins the three room suite and gives you additional space for a family gathering. It has a queen bed, twin bed with trundle and full bath with tub. All suites have central air conditioning, wi-fi, satellite or local television available in all suites, optional continental breakfast. You are more than welcome to enjoy the inviting back porch and grounds to relax and enjoy the charm of Amana. You’ll find Lace Lodging just 1/2 block off main street Amana, behind the General Store. Lace Lodging is housed in the first prayer meeting hall in Amana. The building is made up of a sandstone structure and a wood structure. Following a rich history, Lace Lodging is now “home” to 3 multiroom suites and a privately owned Salon and Spa. There are two main floor suites and one upstairs suite. Each suite is priced for two people, however Suites 1 and 2 can sleep up to 5. Suite 1, The Coventry Suite is located in the wood structure. It has a full kitchen, living room, bed room and full bathroom. Suite 2, The Victoria Suite, is located upstairs. It has a sitting room with a day bed, bedroom with a queen bed, bedroom with a king bed, bathroom with a shower unit, and a sitting room with a kitchenette. Suite 3, The Rose Suite, is designed for two. It is located on the main floor in the sandstone part of the house. This suite is designed for a couples get-away or bridal suite. There is a full kitchen, sitting room, bedroom with a king 4 polster bed, full bathroom, and a room with a two person whirlpool tub. Also located in Lace Lodging is Tracy’s Salon and Spa. Guests of Lace Lodging will receive a discount in services at Tracy’s. Lace Lodging is a lodging, so no breakfast is served. Guests are welcome to bring their own food and use the kitchen or kitchenette in each suite or take a short 1/2 block stroll where you will find two of the Amana restaurants. Enjoy a relaxing stay in our beautifully appointed bed & breakfast, located in the heart of the historic Amana Colonies. Dating back to Amana’s communal era, our establishment features seven, non-smoking rooms, each with private baths. Located in a secluded setting, enjoy a large deck area with a grill for guests use. 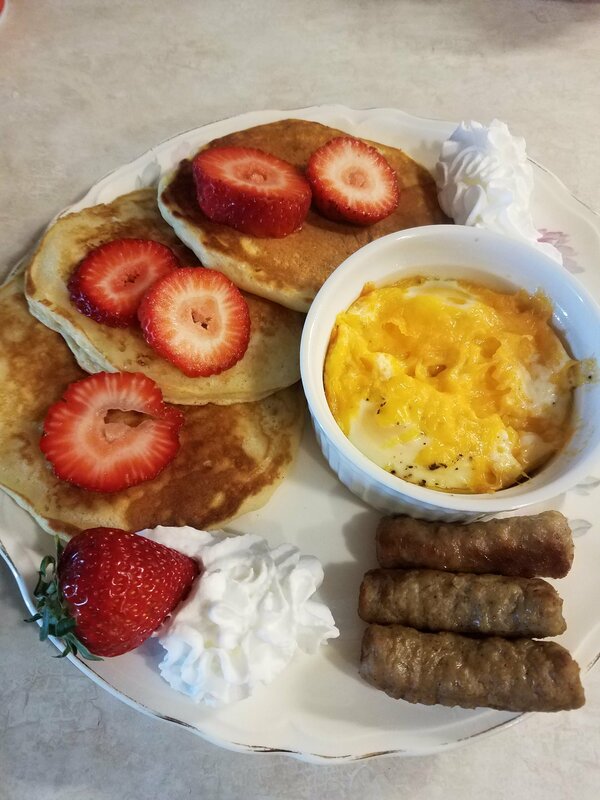 Enjoy a full, family-style breakfast. Great location for family gatherings, couple retreats and girlfriend get-aways! You will find rest and relaxation at our beautifully restored Amana Sunday School built in 1870 and used as a school until 1981. The inn was completely renovated in late 2012, finished in 2013. Two suites with queen size beds and private baths. WI-FI-Antique furnishings-TV-Air Conditioning-Large Common Area-Smoking allowed outside of home. Rates are affordable and based on double occupancy plus tax. Cash or check only. Room rate includes a full breakfast. For reservations, call (319) 622-6097 or (877) 767-3233. Die Heimat Country Inn – “The Original B&B of the Amana Colonies” If you are looking for an authentic experience of the warm hospitality and simplicity of the Amana Inspirationists, Die Heimat is the B&B for you! Located in the scenic little village of Homestead, just 3 miles from the Amana village with its shops, museums, and theatres, Die Heimat’s sixteen unique and beautiful guest rooms offer a range of accommodations and rates, from $85 to $130. Every room has a private bath, flat-screen cable TV, and free high-speed Wi-Fi. Marc and June Hershberger, owners since July 2014, are constantly updating and renovating to provide guests with enhanced amenities and a genuine experience of “Gemutlichkeit” (friendly and welcoming) Die Heimat Country Inn is a charming and historic building which has been operating as a Bed and Breakfast continuously for more than 50 years. It was the original stagecoach stop and railroad inn of the 1850s. It also served as a communal kitchen in the days of communal Amana. Rooms are furnished with Amana furniture, quilts, antiques and artwork. A delicious full breakfast is served each morning, including home-baked pastries. At breakfast, be sure to ask your hosts about both Amana history and current life – June and Marc love to share stories of this peaceful and unique set of villages! Die Heimat Country Inn is featured in “1,000 Places to See Before You Die” and “Stay on Route 6.” We look forward to welcoming you at the Inn! We recently acquired the old Homestead General Store located right beside us. It is now “Next Door: Die Heimat Event Center”. Our 16 room inn with an event center conveniently located next door make us an ideal location for family reunions, retreats, classes, weddings, or other events. Ask us about hosting your group! While visiting the Amana Colonies, enjoy staying in our historic home built in 1895. Just steps from main street Amana, you can easily walk to all of the attractions – restaurants, theater, general store, wineries, museum, art galleries, antique stores, quilting store, furniture store, woolen mill, meat market, brewery and much more! Our bed and breakfast, which originally served as a boarding house, is set up as two separate units with spacious common areas in each, which includes a living room, kitchen, dining area and laundry room. Accommodations consist of four bedrooms, two in each unit, each with their own private bathroom. Each bedroom contains a comfortable queen bed. Two guests per room occupancy receive our standard rate of $95.00 per night plus tax. A queen sleeper sofa is also available in each of three of the bedrooms and a twin sleeper sofa is available in the fourth bedroom. The queen sleeper sofas can accommodate up to two additional guests in each of the three bedrooms and the twin sleeper sofa can accommodate one additional guest in the fourth bedroom. Any additional guest adds $35.00 per person per night plus tax to the evening’s rate. Festivals are a great time to visit the Amanas. We require a two day occupancy for festivals. Cancellation of a room requires a three day notice prior to day of arrival. A credit card is required to secure rooms. Upon check-in, cash, check and all major credit cards are accepted. Gift certificates are also available. Dogs are welcome, up to 30 pounds, at an additional one time charge per stay of $20.00 plus tax. All service dogs are welcome. Both of our units are located on the main floor with two of the bedrooms and common area located in the historical portion of the home and the other two bedrooms and common area located in our newly built addition which opened in August 2013. Private entrances are available for both units. You will find us very accommodating! Amenities included in each of the bedrooms are: private bathroom, sofa for relaxing, large flat screen TV, blu-ray/DVD player, cable TV, free WiFi and air conditioning. Amenities included in each of the common areas are: large flat screen TV, blu-ray/DVD player, extensive DVD collection, cable TV, free WiFi, air conditioning, washer and dryer, full refrigerator, coffee maker, toaster and kitchen stocked with dishware, cookware and utensils. Brochures, maps and guidebooks are available to plan out your stay while in the Amanas. Restaurant menus are also provided to browse through prior to eating at any of the restaurants. A listing of hours to the stores and attractions is also available to help make the most of your time in Amana. If you are planning a family reunion, gathering, workshop or friend’s get-together, we can accommodate your family or group and can sleep up to nineteen guests in both units combined. Smaller groups can use either of the two units. The historical portion of the house can sleep up to nine people and has one additional bathroom as well as the bathrooms in each bedroom. The new addition can sleep up to ten people and has two bathrooms, one in each of the bedrooms. A full breakfast is included with your stay each morning and is served in one of the two dining rooms. 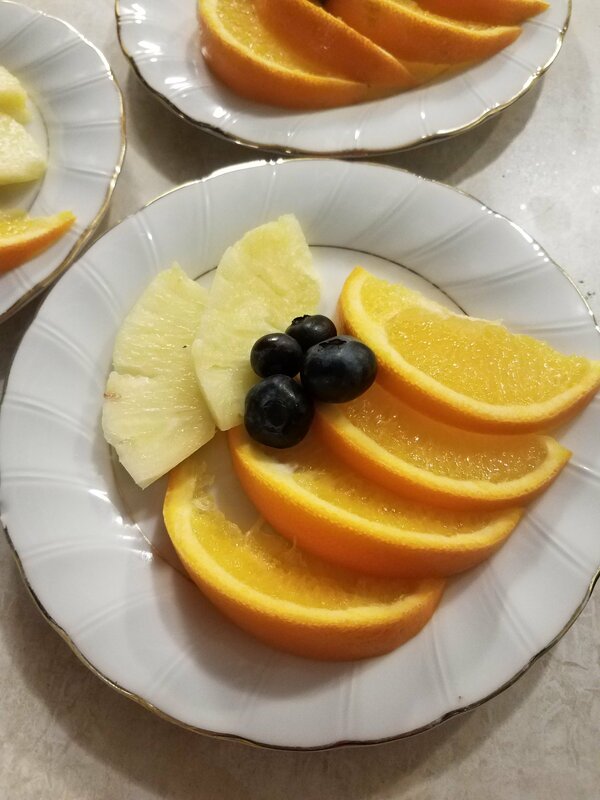 A variety of items are served such as German potato pancakes, roast beef hash, specialty french toast, fruit pancakes, waffles, sausage gravy and biscuits, Amana ham, bacon, sausage, hash brown / egg casseroles, fresh fruit, tea, coffee, pastries and more. We can accommodate special diets, such as gluten-free, lactose intolerant and vegetarian. If possible, we ask that you let us know prior to your stay if you have special food needs. A Touch of Home Bed & Breakfast offers unique amenities that are not always available to bed and breakfast visitors. Relax in the dining area while visiting with friends and family or enjoy the living room and watch a movie from our extensive DVD collection. We also have a variety of board games and cards if you want to stay in, have some fun and relax. A kitchen is available in each of the two units for our guests to use if you prefer to cook a meal and eat in. Grab an ice cream bar from the freezer for dessert after eating at one of Amana’s fine restaurants. Have a cup of hot tea from our more than twelve flavors of tea we provide. Enjoy some popcorn or a glass of wine while watching a movie on the flat screen TV in the living room. Enjoy a peaceful afternoon while relaxing on the patio on a beautiful spring, summer or fall day. Cozy up to the gas fire pit on a chilly evening. Cook Amana steaks on the gas grill we provide for our guests, after visiting the famous Amana Meat Shop which is located only a block away. For the more adventurous, we have bicycles available to explore the town, the bike trail, the Lily Lake and the other Colonies. Reserve rooms now for a stay in Amana and enjoy a “touch of home” away from home. For more information or to reserve a room, contact us at 319 333-4025 or email us atouchofhomebb@gmail.com. Visit us on Facebook at https://www.facebook.com/atouchofhomebb. Charming Bed and Breakfast. Experience and enjoy a glimpse of Amana’s past in this beautifully restored 1862 Amana Kitchen Home, in Homestead, one of the 7 villages. Located just 3 miles south of Amana. 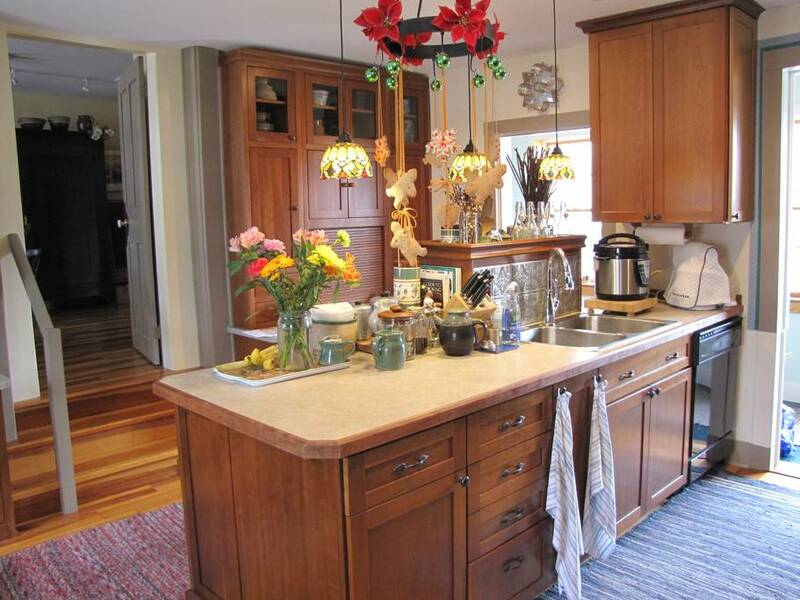 This bed and breakfast has received several awards including; Peoples Choice Award for top 3 bed and breakfasts in NE Iowa, was selected by Newsweek Magazine and Fador International Travel Guide. The home features 6 guest rooms, two of which are 2 room suites, 3 of the guest suites have a whirlpool, 1 room has a whirlpool AND a fireplace, and there is a lovely outdoor swimming pool with patio area. The rooms are nicely appointed with; queen sized beds, mixture of old and new furnishings, cable TV and WIFI, private baths and each is individually air conditioned. You’ll enjoy seeing all of the unique characteristics of an Amana brick home including the hand-hewn timbers and exposed interior brick walls. 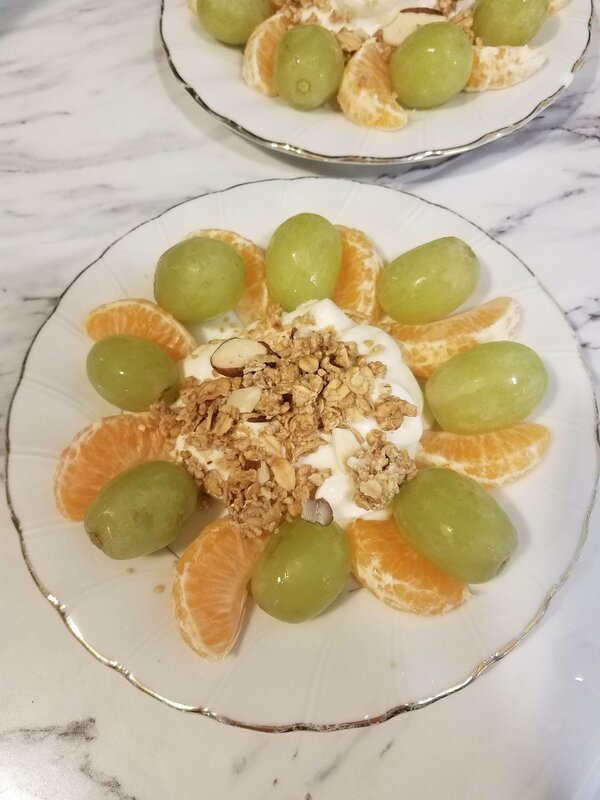 Wake up to the smell of fresh brewed coffee and come down to join us in the breakfast room for a full sit down breakfast which could include; a breakfast casserole, stuffed French toast, homemade muffins, fruit yogurt bar, assorted cereals, assorted breads and bagels, and several beverage choices. In the warm months relax with your morning coffee or evening glass of wine on the back porch. In the winter enjoy the fireplace in the breakfast room. complimentary coffee/tea/hot cocoa/water bottles, available 24hrs a day. Our room rates range from $94 to $120 with a fee of $20 for each additional person beyond 2. This bed and breakfast is available for small intimate weddings , corporate and family gatherings. We look forward to serving you and will make every effort so that your stay in the Amana Colonies is a memorable one. Let us help you build a tradition that is filled with family memories. Please note, no smoking and no pets allowed at this time. Though we love children and they are welcome, we cater to the relaxing adult getaway. 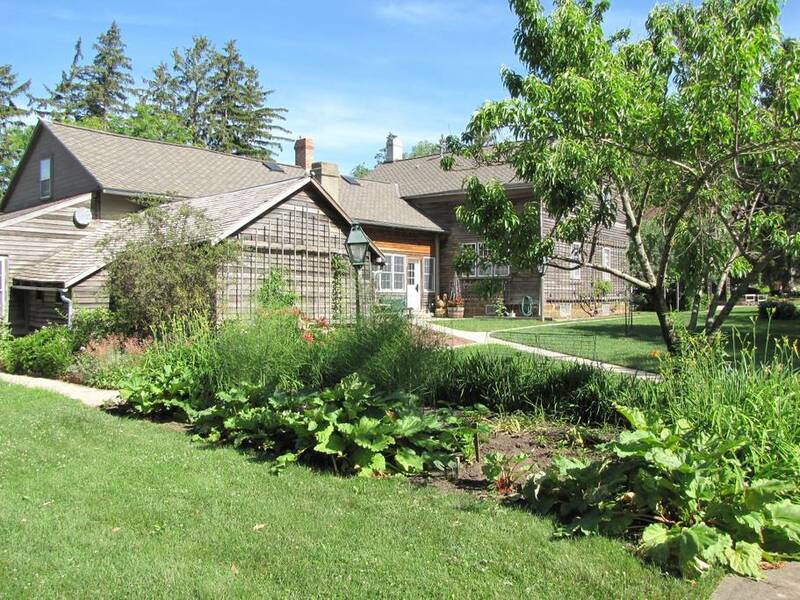 “A great place to stay if you are visiting the Amana Colonies.” Buh Schloss B&B was originally built in the 1890’s as one of the last communal residences in the Amana Colonies. It boasts three guest bedrooms, three guest baths, a full kitchen as well as multiple gathering spaces. Set up as a Airbnb, Buh Schloss gives the personal touch and creature comforts of home while you are away! Pets welcome upon approval. Rates range from $85 (+state & local tax) to $120 (+ state & local tax) based on availability and events in town. Please see our Airbnb listing for any additional details. *****We have one room remaining for Oktoberfest Weekend, please contact us to book or follow the Airbnb link; we are located across the street from the Market Barn and 1 block away from the Festhalle Barn & have reserved parking for guests***** All reservations must be made through Airbnb.com please follow the link here: https://www.airbnb.com/users/30479561/listings Room One features a view of the Market Barn as well as our gardens. It has a queen bed and an en suite bathroom. Room Two features a view of the market barn as well as our gardens. It has a queen bed and a designated bathroom across the hall. Room Three features a view of our gardens. It has a queen bed and a designated bathroom across the hall. Group Package: If you have a large group and would like to book all three rooms you will have the entire B&B to yourself. Buh Schloss is normally only open on the weekends (Friday, Saturday and Sunday), with some availability during the week. Please contact us to find out available dates. There is no smoking on the premises. Check in is flexible and can be catered to your needs. Check out is 11:00 AM. As this is an Airbnb, continental, self serve, breakfast foods are available during the week, a hot breakfast is available on the weekends only. A prepared hot breakfast is composed of fruit, eggs, sausage or bacon, toast, milk, juice, coffee and tea. Let us know in advance if you have special dietary requirements or restrictions. There are multiple flower gardens for your enjoyment over our half acre of land as well as a fire pit for evening gatherings. Buh Schloss is within walking distance of all events, restaurants and shops in Main Amana. Please visit us on Facebook, Airbnb, or contact us with any questions you may have. We look forward to your visit to Buh Schloss and the Amana Colonies!